Requirements before you replace the fuse board. Firstly the electrician would test the circuits of the existing fuse board, this is to check whether they are safe an sound and no breaks in the cables or faults on the circuits, this is to make sure that when the new consumer unit is installed it will not trip when the circuits are reconnected to the new new board, another thing to take into account is your earth bonding is wired in the correct size cable, for more information on earth bonding visit earth bonding for a domestic property. Often the main power cables feeding the board know as the tails will need upgrading as well, most will have 10 / 16mm tails feeding the board, this is ok, but it depends on the system type provided by the power supplier, system types are TT, TNS TNC-S. The standard size for today’s domestic electrical installation is 25mm with a 16mm earth, you will find with the old installations they will have the main tails wired in 10mm with a 6mm earth or 16mm tails with a 10mm earth. Once all the above tested and are fine the new board can be installed once installed it will need testing again, the electrician will test each circuit to make sure it complies with current wiring regulations BS7671, he will test, conductor continuity, insulation resistance, polarity, earth fault loop impedance, and the function of all devices including protective devices. What does it cost to replace a fuse board? We once quoted to replace a fuse board, written out a quotation emailed it to the gentleman, and waited to here back from him, assuming he never received his quote we gave him a follow up courtesy call, after talking to the gentleman he seemed to think we was a little expensive, I ask him why he thought this and he explained that he had a quote from another company for £170.00 so he went with them and they replaced the fuse board. When you take into account the new consumer unit cost of around £90.00 this meant the company changing the fuse board was doing it for £80.00 that seems reasonable £80.00 but what about the company’s running costs, like diesel, phone bill, insurance, van insurance, governing bodies, etc etc. so do you think he was getting it installed properly, or it was a case of they was doing a rush job then on to the next customer. And I don’t think there would be much customer after service, chances are if something was to accrue you would not see them again. It’s always good to get a few quotes before you have any job done, this will give you an idea of what you should be paying for a proper install. the average cost of a fuse board replacement is around £300.00 Which would include, Labour, materials and the testing and certification. A few things you need to consider about your fuse board replacement. * The cost to replace the fuse board. * Are you using a reputable company. * Did they check the earth bonding. * Will you receive an electrical installation certificate. * Did the company give you a written quotation. 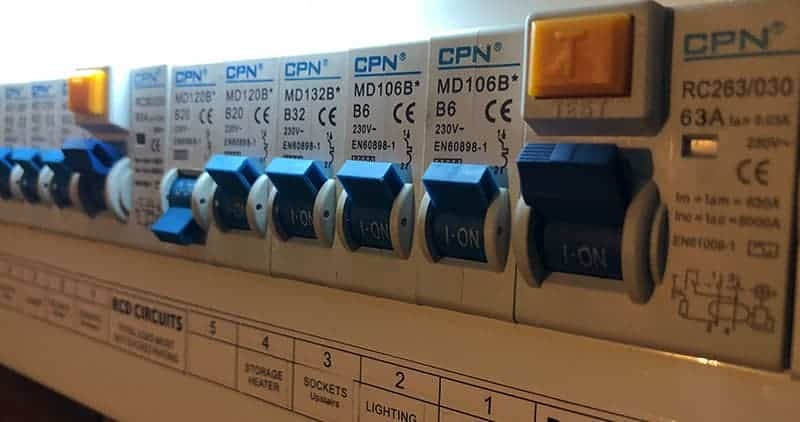 Prices always vary from company to company but Like i said before prices can be around £300.00 it could cost up to £600.00 to replace a fuse board, but Again it depends on the size of the installation. Please feel free to Tweet, Facebook like or share this article. K&L Electrical the only electricians you will ever need.